The best-selling MMO gaming mouse of all time, the Razer Naga, is evolving to take the MMO games of the next generation head-on. Engineered for improved comfort and control, the all-new Razer Naga comes with optimized button placement, three interchangeable side grips to suit your personal grip style, and is powered by Razer Synapse 2.0. Effortlessly access more spells, abilities, and macros with a total of 17 mouse buttons, including Razer’s revolutionary 12-button thumb grid. The new Razer Naga features 2 mouse buttons behind the scroll wheel to deliver better ergonomic control as you game. 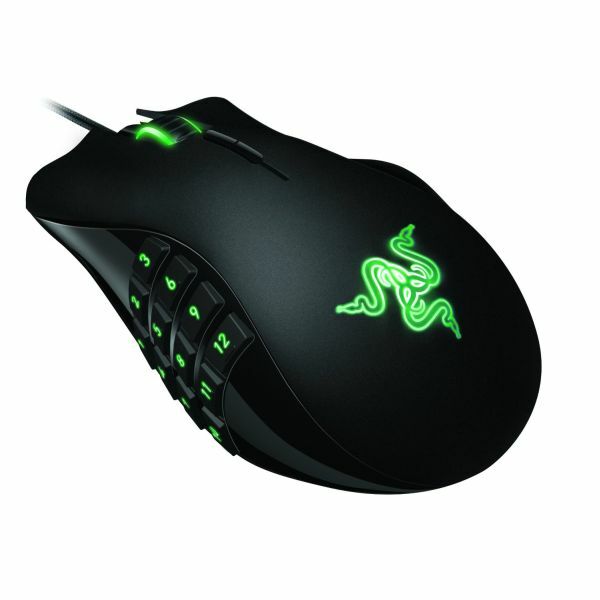 Razer Synapse 2.0 is cutting-edge intuitive proprietary software that functions as the Razer Naga’s brain automatically syncing the gaming mouse to a cloud server to download driver and firmware updates, as well as save individual gamer settings without you needing to lift a finger. Specifically for the Razer Naga, Razer Synapse 2.0 capabilities will be expanded to store settings for a custom Razer in-game UI designed just for MMO players.